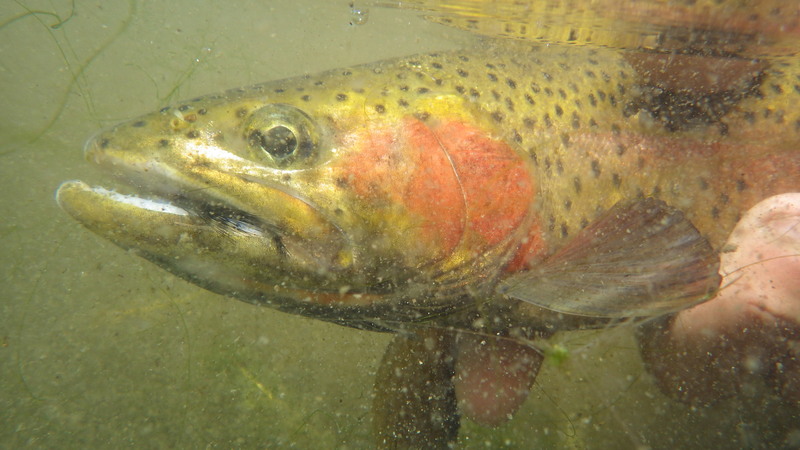 This fly is a versatile fly that can be fished in just about any size, any weight, and any color. 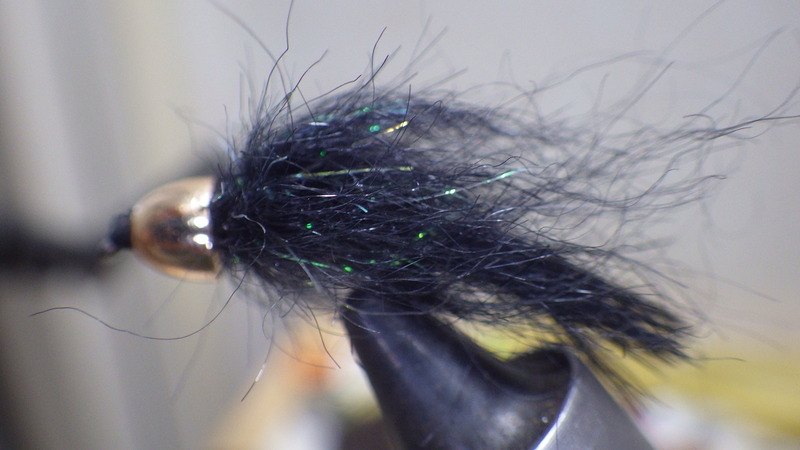 I like it because I can tie them faster than I would a standard hackled wooly bugger, and I think the texture and sparkle help it stand out in the water. 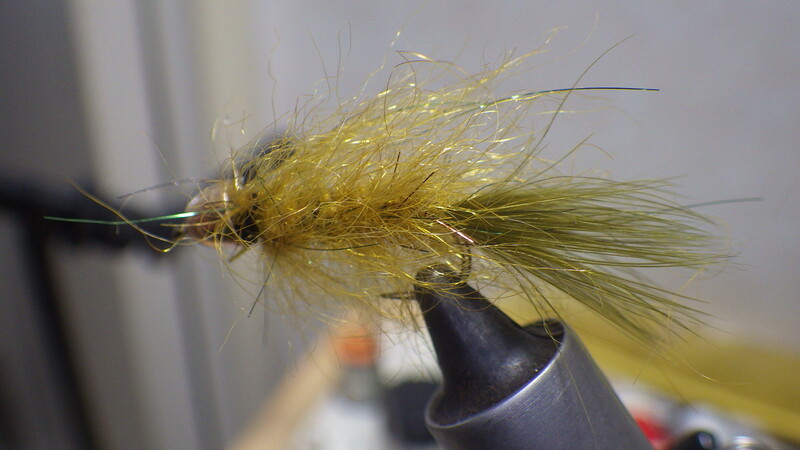 I like to experiment with different dubbings for this fly, but I almost always use a synthetic dubbing blend. Seal variants work very well for this fly, but as far as the flies pictured below are concerned the olive is AZ Semi Seal and the black is Senyo Lazer Dub. For weighted buggers I will use a conehead and some lead or nontoxic wire to help hold it in place and give it some extra weight. This fly falls into a large category of flies that I refer to as â€œbuggersâ€. These flies are all based on the wooly bugger and too similar to have their own name, but still slightly different than the standard wooly bugger. 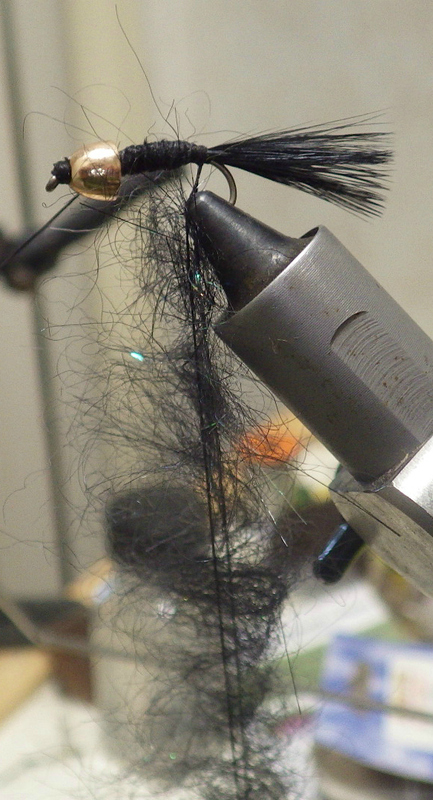 The wooly bugger is one of the greatest and most versatile flies of all time. 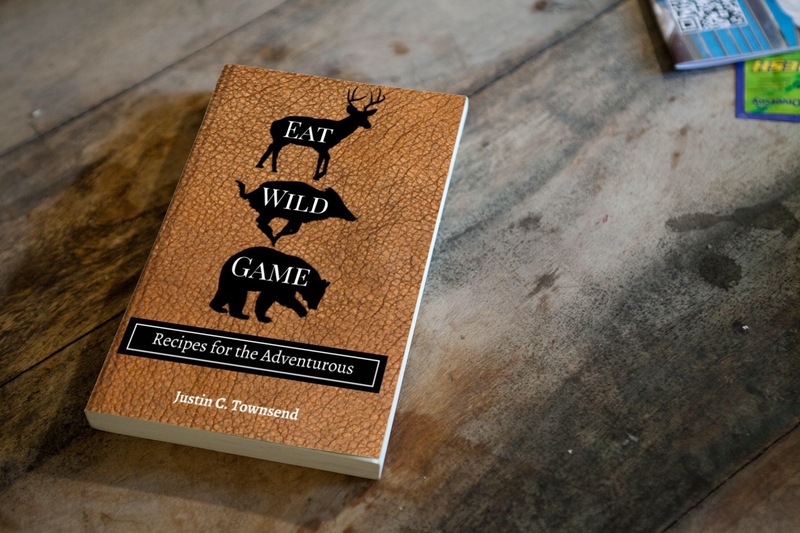 It is very impressionistic and vague which gives it the ability to imitate multiple different types of food at once. It can be successfully dead drifted like a nymph to imitate a large stonefly or a dead crawfish, it can be slowly retrieved by twisting the line between your fingers to imitate a wounded minnow swimming away, or it can be given long, quick strips to look like a crayfish jolting away from a predator, or even short, slow strips to look like a leech ribboning through the water or a hellgrammite trying to escape. There are days when I will fish exclusively a â€œbuggerâ€ and nothing else, and experiment with different retrieves until I see some action. 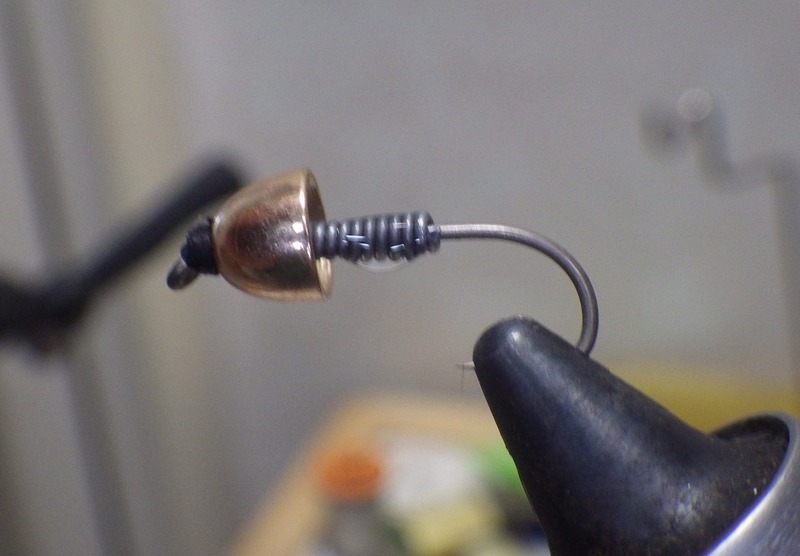 For a weighted bugger I like to use a conehead and some heavy gauge wire wraps to keep the conehead from sliding. 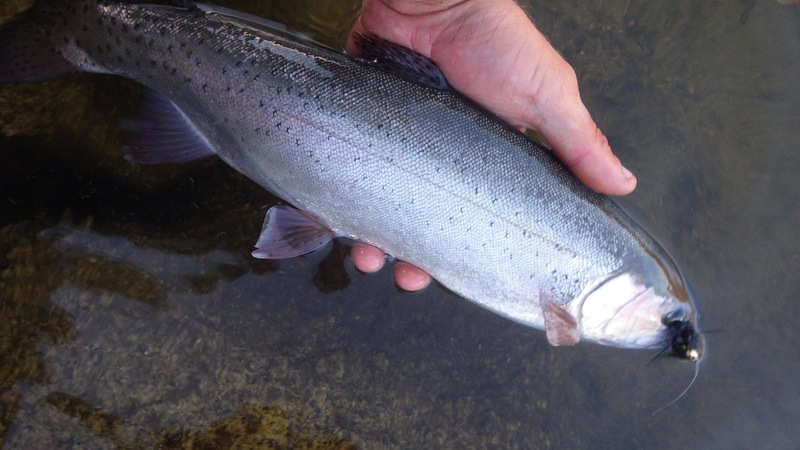 This particular bugger is short, heavy, and stout because I had a fast creek with deep pools and tiny smallmouth in mind as I was sitting at my vise. I use a good bit of epoxy on the lead wraps to hold everything in place, and then I cover the epoxy with wraps of thread. Next I tie in a marabou tail, and when doing this I measure the length of the tail to be equal to the length of the hook shank. After securely wrapping the tail in place I tie in a dubbing loop. I have used homemade dubbing twisters, but I certainly prefer a weighted one because in one spin of the wrist all the dubbing can be twirled at once instead of slowly twisting your fingers. Once the dubbing is all twisted together I brush it out. I will sometimes use an old strip of Velcro to brush out the dubbing, but I have recently started using a wire brush made for cleaning the barrel of a .22. The issue with using the rifle-cleaning brush is that it sometimes will cut the thread holding the dubbing loop together, so I use a heavy thread such as 3/0 to help protect it. The .22 brush has very fine hairs that really stretch and pull at the dubbing material making it look gross and buggy. Pictured here is my brush with rainbow scraps of all the dubbings I have tied with recently. 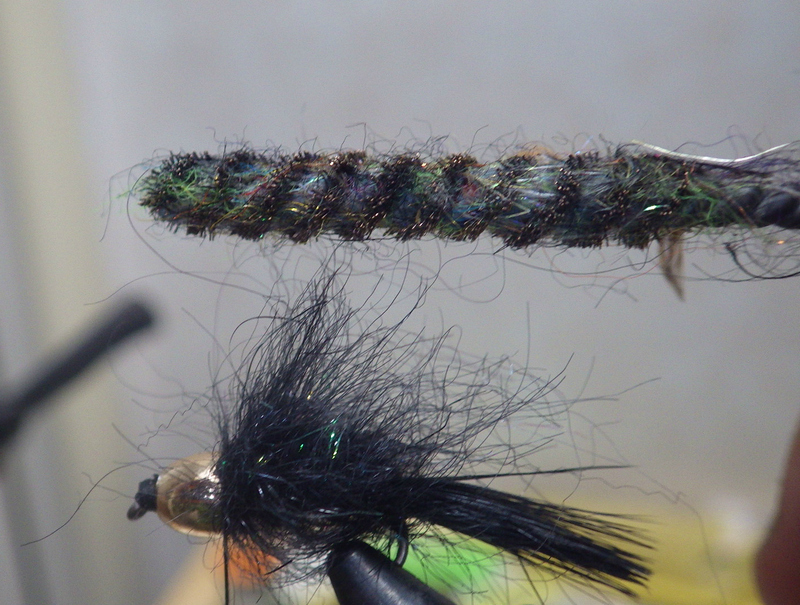 Once I wrap the dubbing loop around my fly and whip finish, I brush it out thoroughly with the brush. I brush back and forth and up and down but try to mostly brush backwards and once I am done give the fly a good once-over brushing the dubbing back to the tail. I do not use too much force but I am thorough and take my time making sure the fly is somewhat symmetrical. Lastly I will add a dab of glue to where the dubbing meets the cone, while trying not to get much glue on the dubbing itself. 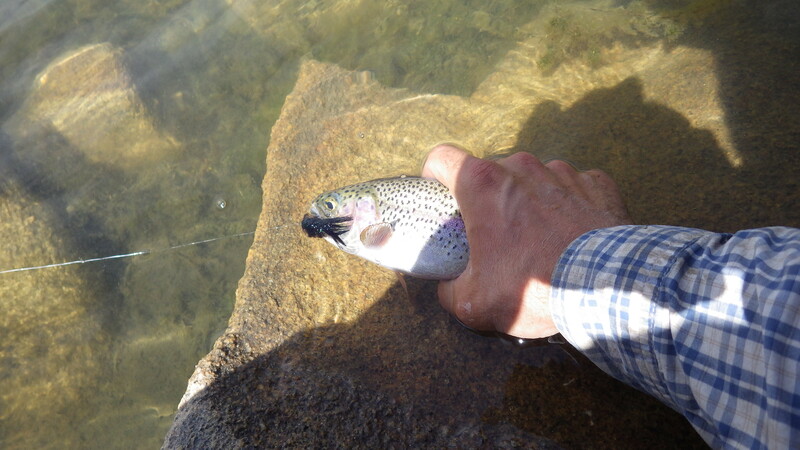 I use a lot of epoxy on this fly because I like to bounce it off rocks on the bottom of a river or lake and it usually sees the teeth of many fish. 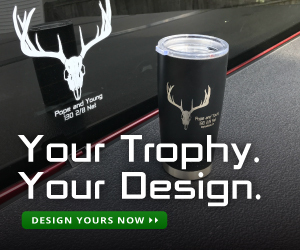 Great looking fly. Variations of wooly buggers featuring cone heads and some flash are among or favorites.